Proudly serving Madison, Green Bay and Door County, Wisconsin. Please click here for a Full Price Quote and/or for Secure Online Reservations, or if you prefer click here for a Printable Reservation Form. If you do not have Microsoft Word® installed on your computer, first download the viewer by visiting the Microsoft Download Center, print and fill out the reservartion form, then fax it to 608-279-5466. Please click here to request an Free Instant Quote. Be sure to include the pick-up and drop-off points, type of vehicle, number of passengers, date, time (hours needed) and type of event. 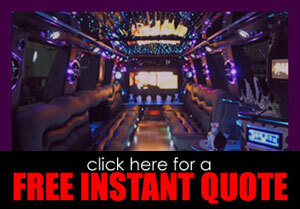 Question... "Are all limousine companies the same?" Like most things in life the old saying holds true... "You get what you pay for." A limousine rental is a luxury experience, like selecting a 5 star hotel or restaurant, and is usually reserved for a very special occasion. Question... "Can I just shop by price?" If you are only shopping on price you run the risk of being taken advantage of, usually resulting in serious disappointment on that special day. Question... "Why are some companies priced so low?" 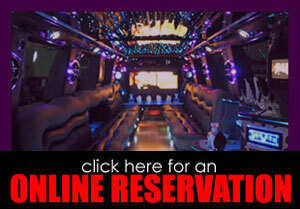 The way we look at it, each limousine company in town knows what they are worth and they charge accordingly! The biggest tip-off the car is old [and shows it] is a low price. Air Conditioning not functional; Exterior and interior lights not all working; TV or stereo broken; Ripped roof (outside and inside); Dirty vehicle; Frequent break-downs; No glassware; No insurance (yikes! ); Not licensed or not a member of a Limousine association, operating illegally; Underpaid chauffeurs. An unhappy employee almost always results in poor service for you; Company does not show up on time, does not show up in the promised vehicle, or does not even show up at all (after your 'great-deal' low-price reservation was made they found another client who was willing to pay more and they never bothered to call and let you know) and yep, these are the same folks who won't give you a written confirmation! Owning, operating and maintaining a fleet of limousines properly is almost impossible to do at lowball rates. Is it worth saving $30-$50 on a special night out for this type of risk? At Sunset Limousine Service, LLC not only do we operate one of the most well maintained fleets in town, we probably have the most courteous and friendly chauffeurs you will find. We recommend that you stick with companies that are members of the BBB (Better Business Bureau) or the NLA (National Limousine Association), and the WLA (Wisconsin Limousine Association). Companies who do so tend to be the ones who can be counted on to show up on time, with the promised vehicle and give you the experience you are paying for and the service you expect. Sunset Limousine Service, LLC... "We value our reputation within the community, and always treat each customer with honesty and care, and the first class service they deserve." Choose Sunset limousine Service, LLC and you are choosing a Limousine service you can place your trust in today and in the future! We welcome any and all inquiries. Let us know what your needs are and we will let you know how we can serve you. For general inquiries contact info@sunsetlimollc.com by email or at the phone number below. Providing Limousine Service to the following Wisconsin areas: Door County, Delafield, Dane, Madison MSN, Fort Atkinson, Columbia, Truax Field, Janesville, Rock, Dane County Regional Airport, Madison [Mad City], Green Bay, Rockford RFD, Oconomowoc, Sauk, O'Hare ORD, Pewaukee, Jefferson, Milwaukee MKE, Waukesha, Walworth, Whitewater, Dodge, Wisconsin Dells, Adams, Juneau, Portage, Cambridge, Deerfield, Sun Prairie, Stoughton, Janesville, Monroe, Milton, Broadhead, Albany, New Glarus, party bus, party ride, limo bus, limousine bus, luxury bus, party bus transportation, limo bus transportation, limousine bus transportation, wedding party bus, casino party bus, prom, party bus, bachelor party bus, bachelorette party bus, corporate party bus, nightclub party bus, party bus specials, Madison wi limos, Madison party bus, Wisconsin party ride, Wisconsin Dells party ride, Lake Geneva party bus, Waukesha party ride, Middleton party ride, Sun Prairie party bus, Fitchburg party bus, Fond du Lac party bus, Janesville party bus, Beloit party bus, West Allis party bus, Delavan party ride, Packer game party ride, Summerfest party ride, Ho Chunk Casino party ride, Milwaukee brewer party ride, wedding party ride, prom party ride, prom transportation, wedding transportation, casino transportation, concert transportation, sports event transportation, bus shuttle service, shuttle bus, Milwaukee Brewers shuttle, Summerfest shuttle, shuttle bus, airport shuttle service, Egg Harbor, Strugeon Bay, Sister Bay, Fish Creek, Baileys Harbor, Gills Rock, Ellison Bay.